I'm positive that I don't want to be negative. I learned a new trick. Interesting that my friend Howard knows the same trick and we posted at the same time. It is a fun photo but I don't recognize the car. I'll bet Charlie has pumps like those. First time I've ever seen Chev's and Fords sold at the same dealer! Ford, Chevrolet and Overland were really the "Big 3" during the teens and early 20s. They were the top selling affordable cars. Dodge, Buick, Oldsmobile would be the next level and didn't sell nearly as many cars. Chrysler wasn't around yet. 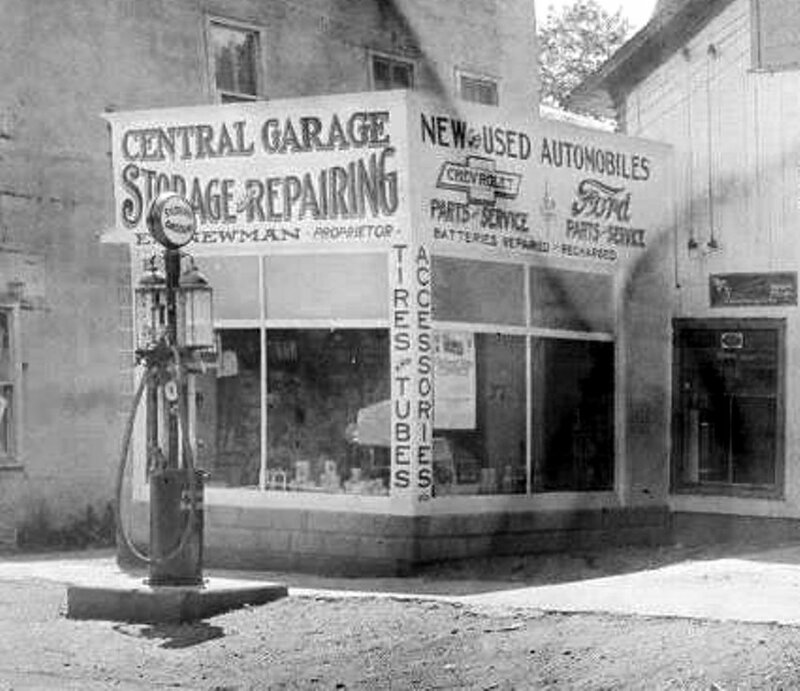 Looks like Central Garage was an early version of today's massive AutoMalls that have every brand available!!! 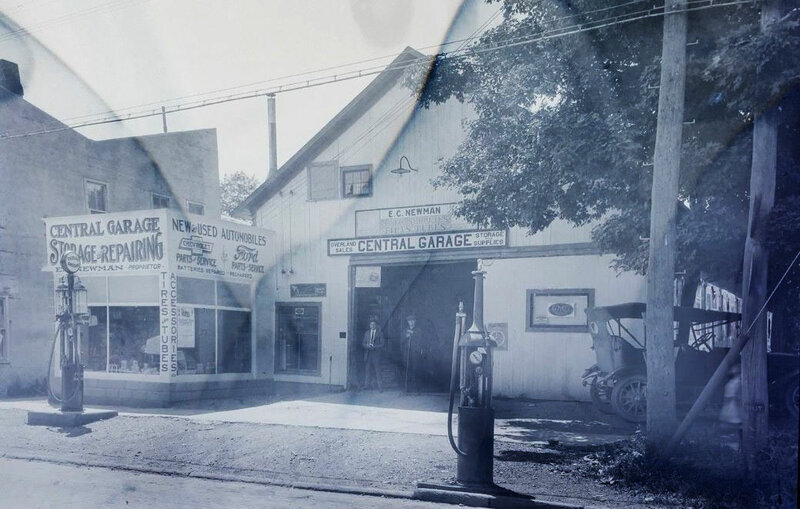 Floyd Clymer sold REO, Maxwell and Cadillac as a young man. 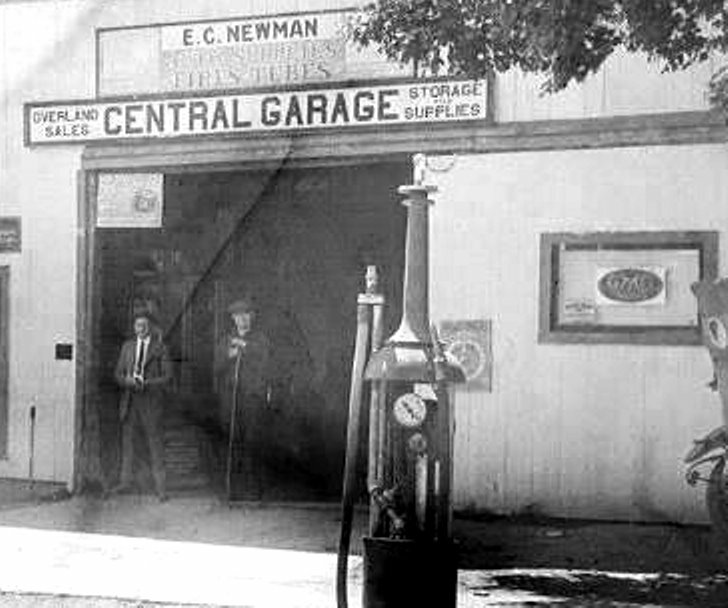 Later he was a major distributor of Indian, Excelsior and Henderson bikes. 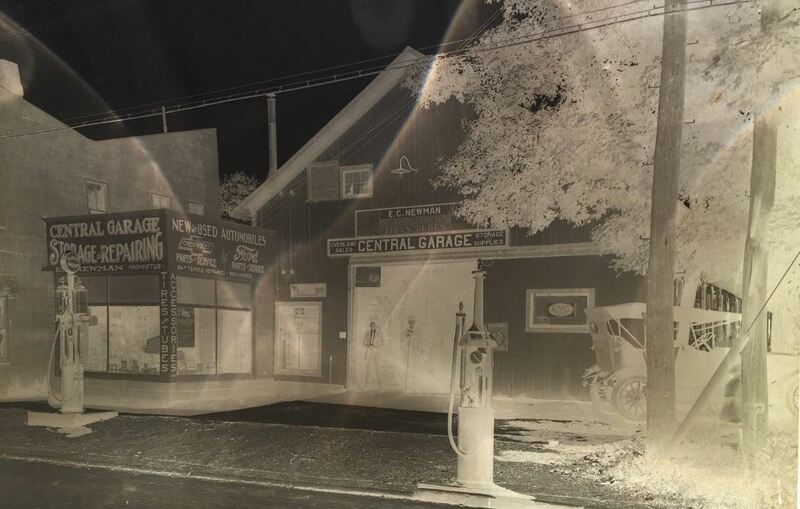 A dealer in a small town might sell many makes. To Larry Smith - Muzi Ford is located on the same property with Muzi Chevrolet in Needham, MA. Neither manufacturer would allow it's cars to be sold in the same building with the brand of a different American manufacturer, but it's the same dealer.